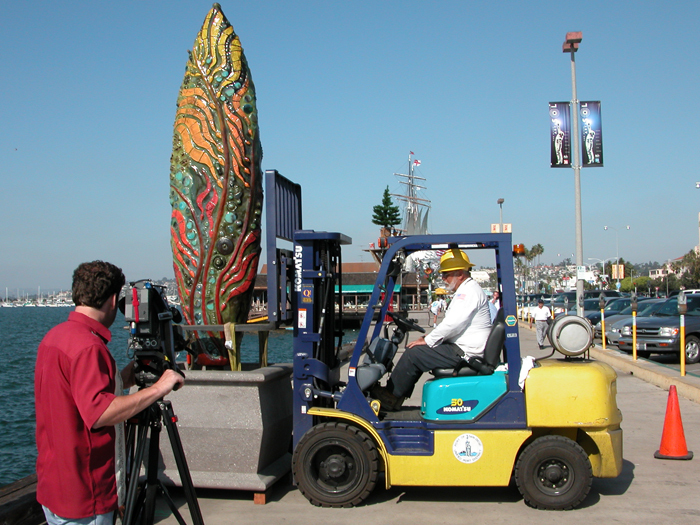 In 2003, the first year of the Port of San Diego’s “Urban Trees” arts program, Betsy Schulz’s design was one of the 30 selected. Her tree was constructed of a metal pole encased in light-weight concrete in the shape of a surfboard. In the surface mosaic, bright red and yellow tiles formed seaweed, surrounded by green and blue ocean. 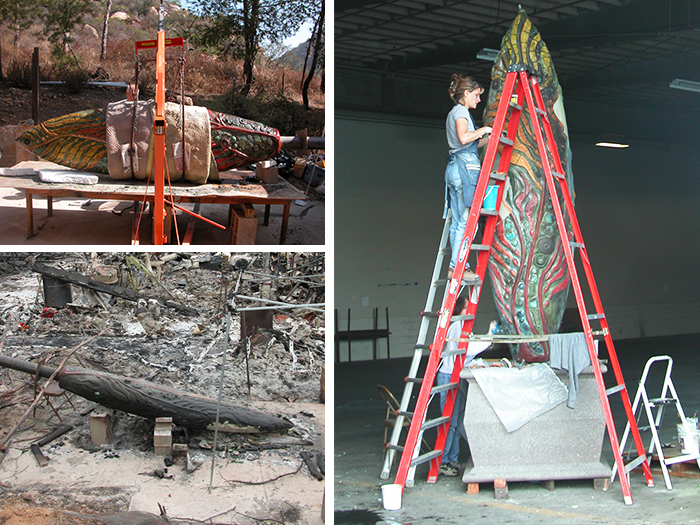 Built at Hans Tegebo’s studio in Harbison Canyon, the tree was completed three days before San Diego’s Cedar Fire burned a large part of southern San Diego County, including most of Harbison Canyon. Tegebo’s studio and home were destroyed and the completed tree was severely damaged, with many tiles detached from the surface and the remainder blackened. With less than a week until the scheduled installation, Schulz and local artists worked feverishly to reassemble the surfboard tree. 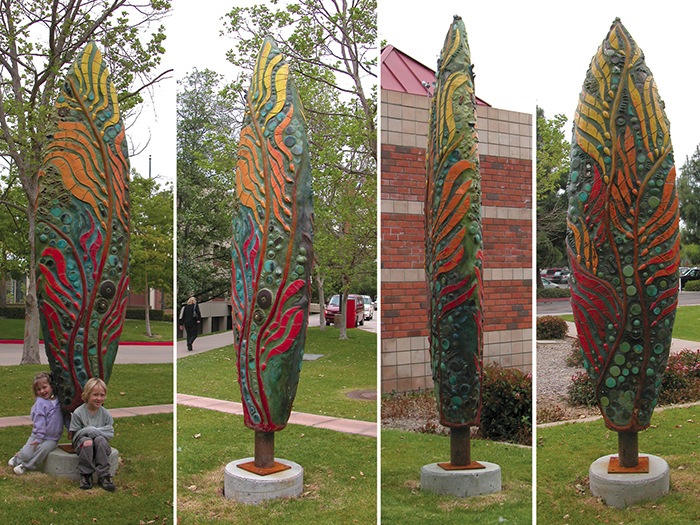 Rechristened the “Cedar Survivor,” the tree was exhibited on the San Diego Embarcadero for one year, and then was purchased for the Wolfstein Sculpture Park at Scripps Memorial Hospital.